THe old SEI paper has come up well. Yummy! Love the corner accent. Page looks good and recipe sounds real yummy!!! Another gorgeous page and recipe not bad either. 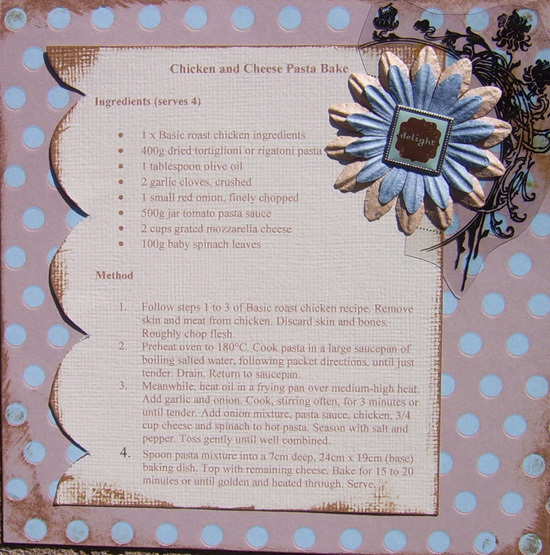 My DD and DH would love this recipe... they both love pasta and chicken. Your recipe journal is looking really nice! Gorgeous work and yummy recipe! I love your cluster.